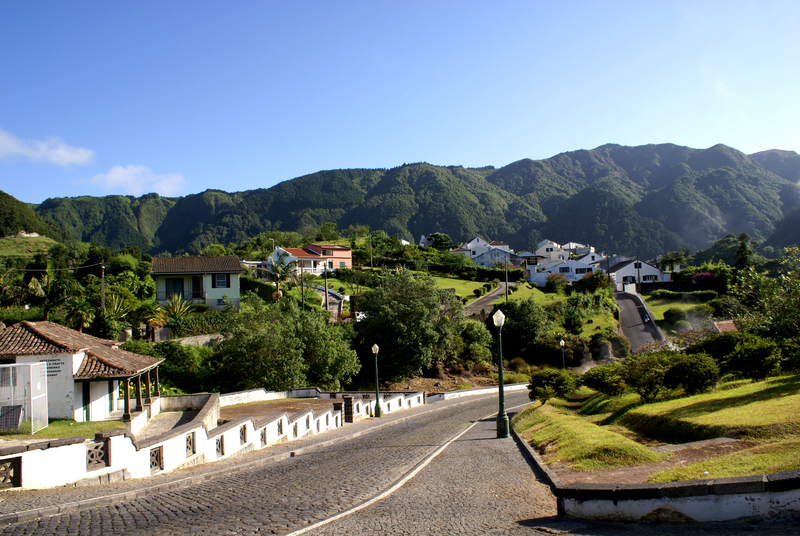 Starting in the Algarve and ending at Pico da Vara, the highest point of São Miguel. This trail was used by older people to access the bush, where did the coal production and livestock management. 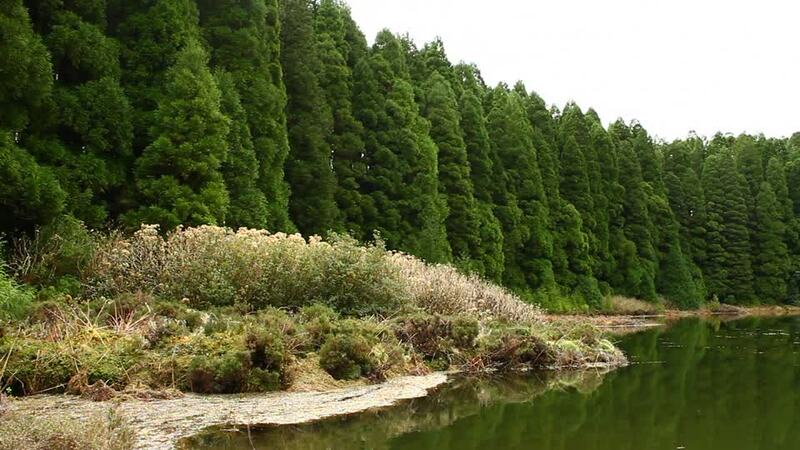 This route starts in a cedar wood, always going up, this ends in a forest undergrowth landscape, consisting of grasses, origin of the plateau name: Graminhais. 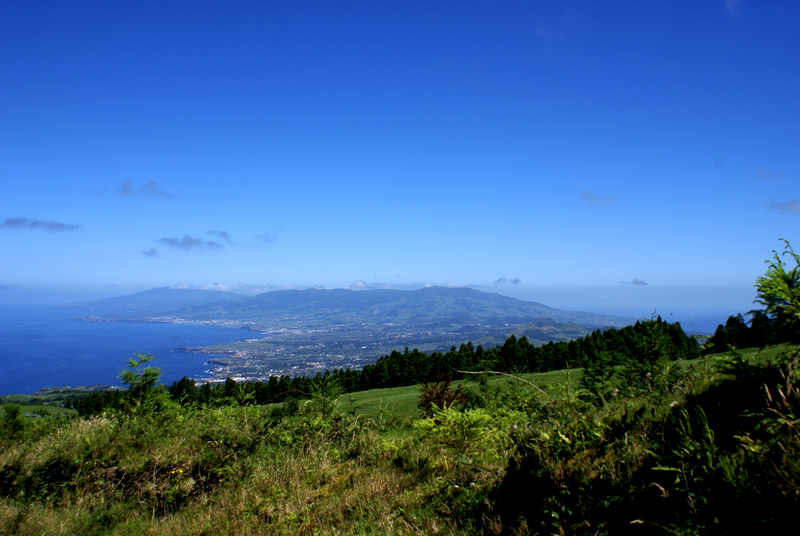 Following to the Court of Pico, where you can see the south coast of São Miguel, just a few 500 meters is a brand of the French plane that crashed in 1949, becoming the lack little more than one kilometer to reach the Peak Stick. This route is a special protection area, where you can watch the Priolo, a bird in danger of extinction. Uma pequena rota circular que se inicia e acaba no lugar do João Bom, freguesia do Pilar da Bretanha. Avança em direção à zona costeira, passando por um pasto com flores endémicas, como a Urze, o Tamujo, o Pau branco, a Malfurada e a Erva-leiteira, já a avifauna encontrada é bastante rica e necessita de proteção, sendo esta zona considerada como uma “Zona Importante para Aves”, em que se observação Milhafres, Pintassilgos, Pombos-da-rocha, Pombos torcazes, Tentilhões e Garajaus nas zonas próximas do mar. Após passar esta zona, sobe-se em direção ao João Bom. Olhando para trás, é possível observar a costa da Bretanha. Seguindo pela direita que vai ter à freguesia dos Mosteiros, prosseguindo em frente até ao Pico de Mafra, alcançando o ponto inicial. Starting and ending in Faial da Terra locale, this trail follows the bank of the stream to the first fork, which should continue to jump nail, a magnificent waterfall, which feeds a forest of incense and acacia. Proceeding to Sanguinho, which has 20 uninhabited houses that are in the recovery process. The path continues through a descent to Earth Faial location. 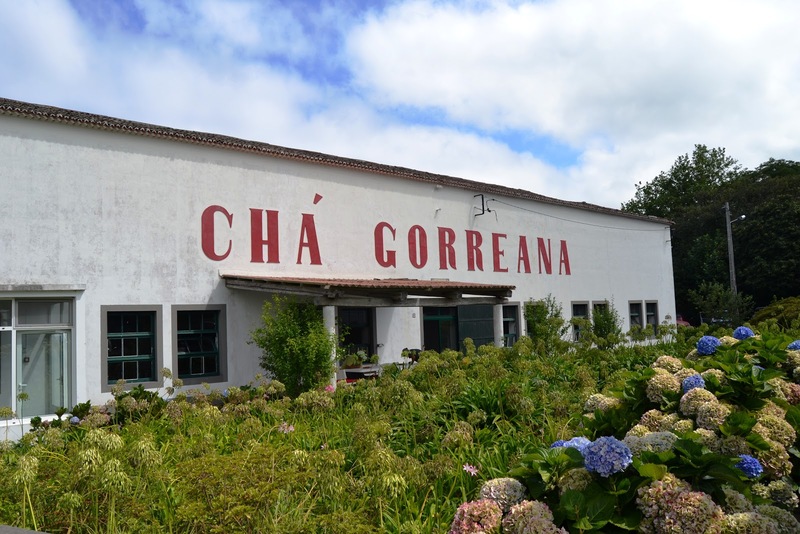 Starting and ending with the Tea Factory Gorreana. 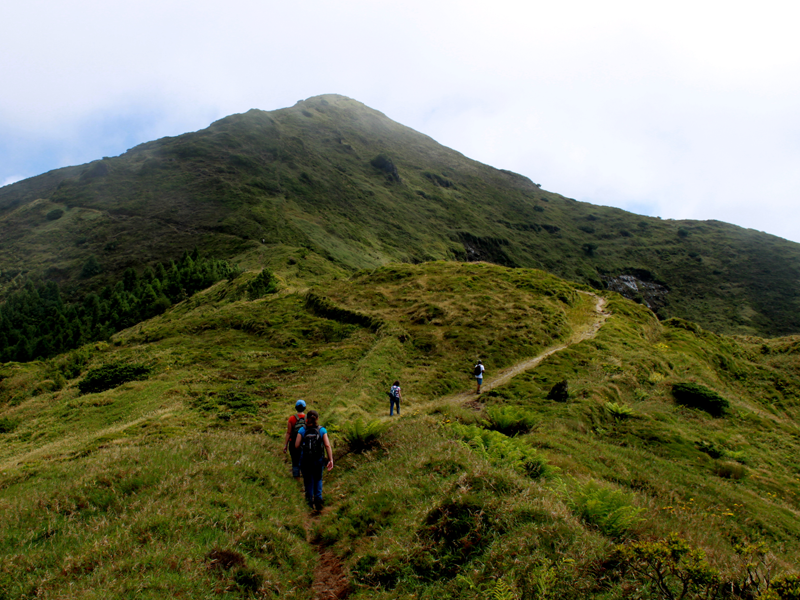 This goes through a tea plantation, followed by farmland and pasture, cedar wood, to Casa Mirante, a building in ruin, where you can enjoy a magnificent view of the north coast of São Miguel, from the Pico stick to the riverfront, northwest, already below are tea plantations and the factory of Gorreana, which is near the end of the course and can enjoy a tea. 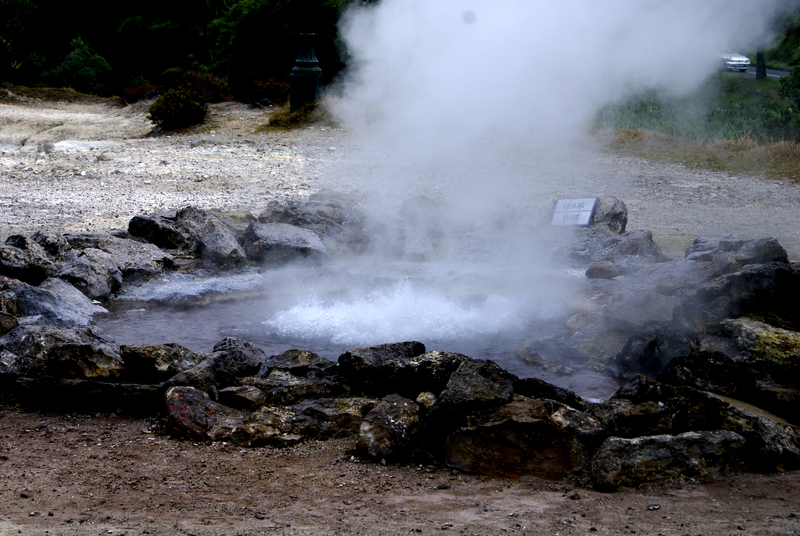 This trail begins and ends in the town of Furnas, passing the Three Bicas, inside the town and then up to the Lagoa das Furnas. Following the signs, you can easily reach to the boilers Lagoon, a place used by its people to do their traditional cooking. Continuing along the edge of the lagoon, skirting it. Following passes by the Chapel Our Lady of Victories, built in the nineteenth century in the Gothic style. Continuing, down to the town of Furnas. Starting with the Forest of Canary and ending in the parish of Seven Cities, descends until the Wall of Nine windows following until you reach the north side of the ridge of the Blue Lagoon of Seven Cities. Circumvents to Lagoa and advances to the parish of Seven Cities. Bearing in mind that this route is a Protected Landscape area. This starts and ends in Ribeira Funda, Fenais Help, near the Chapel of Our Lady of Affliction. 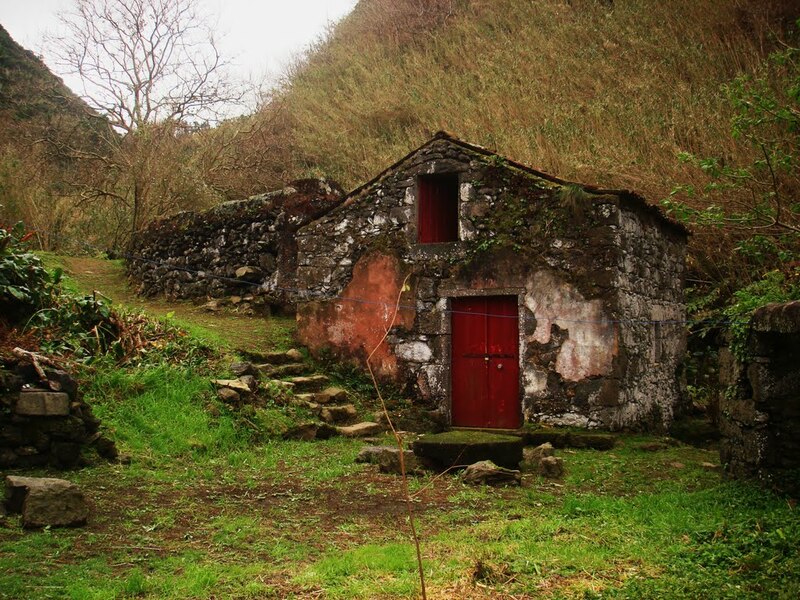 Its main points of interest, the remains of a cluster of watermills, several waterfalls at the back of Ribeira Funda and panoramic views of the west coast and this São Miguel. 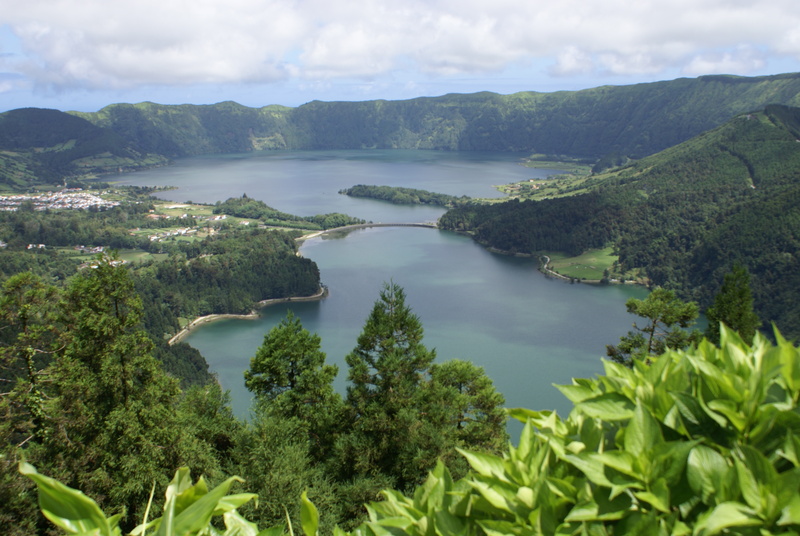 Starting in the Iron Peak Viewpoint and ending in boilers of Lagoa das Furnas, this route down the cliff, a short walk where you can observe the variety of endemic plants such as rolling (Viburnum Tinus), laurel (Laurus sp. ), grape-da-serra (Vaccinium cylindraceum), heather (Erica azorica), and as plants introduced cletra (Clethra arborea), giant (Gunnera tinctoria), frankincense (Pittosporum undulatum) and conteira (Hedychium gardneranum ) and tree fern. In this way you can also watch birds, including buzzards (Buteo buteo rothschildi), starlets and egrets and the only mammal endemic, daytime bat (Nyctalus azoreum). 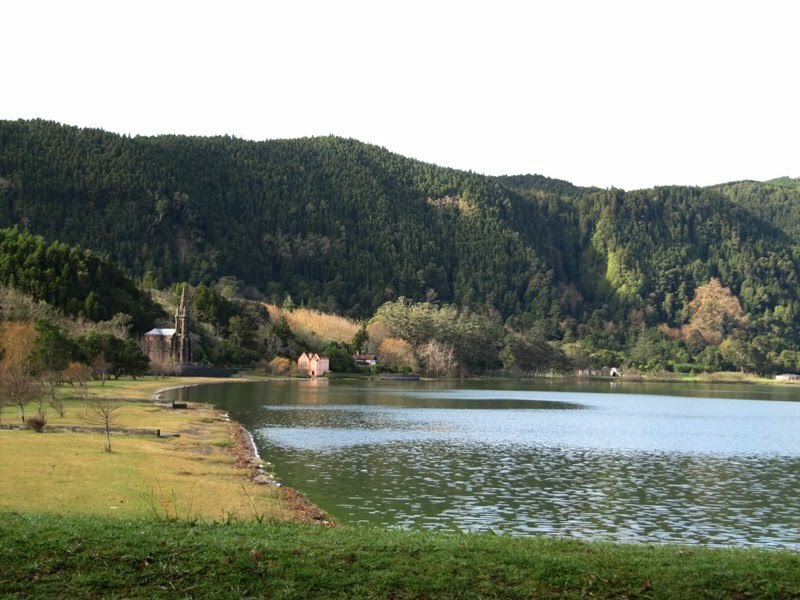 You can also contemplate the Lagoa das Furnas from different angles. Continuing to Caldeira ponds Furnas, is finished so this rail. Starting in Lomba da Maia, passes by the Viola Beach and ends in Maia. From the Church Lomba Maia, goes to the Praia da Viola down and taking the opportunity to observe the Maia, Taiwan Ponta and Cintrão tip. Continuing to Ribeira do Salto down next to the old water mills, one comes to the Viola Beach. Throughout this are several streams that run through the cliffs and also are many watermills, surrounded by yams. After enjoy the clean air of this beach, one of the most beautiful of the Azores, follows up to the top of the cliff, continuing to Maia. This begins with a dirt road, in an area pasture and continues up to a forest of eucalyptus, incense (Pittosporum undulattum), acacia (Acacia sp.) And conteiras (Hedychium gardneranum) and along the Levada are examples of plants endemic as Uva da Serra (Vaccinium cylindraceum), Heather (Erica azorica), puff pastry (Viburnum Tinus), Tamujo (Myrsine retusa), among others. 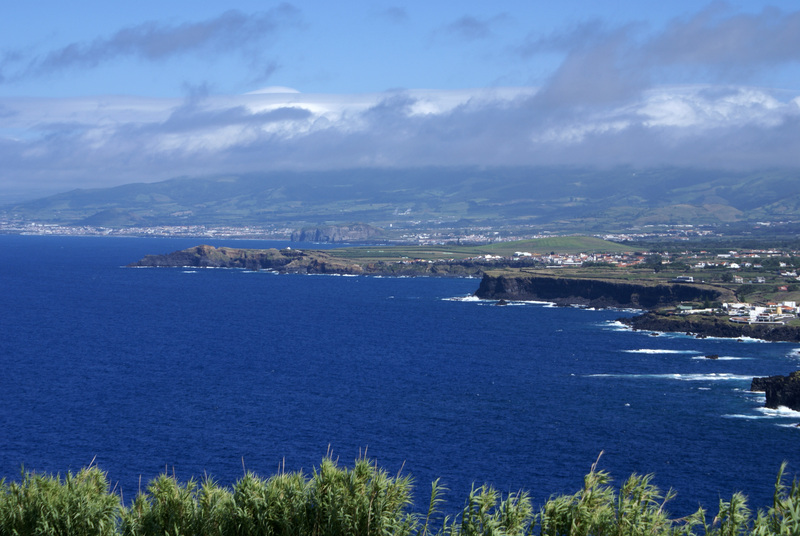 Going up the road, you can enjoy a great view over the south coast of Sao Miguel, catching sight of Vila Franca do Campo, its islet and Ribeira Beach. 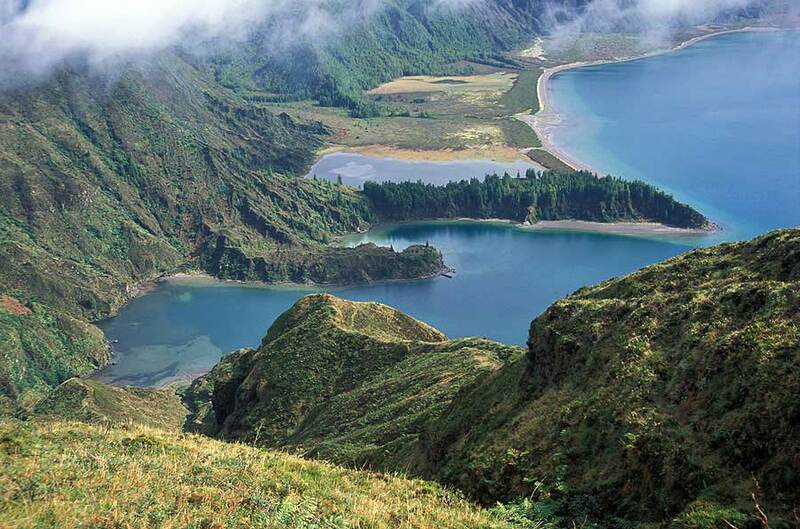 Coming to a more open area, with slopes on both sides, walking a little, you come to the edge of Lagoa do Fogo, this seagulls can be observed that the nesting season become very aggressive. This route is an area classified as a Site of Community Interest and Nature Reserve. By starting and ending with the Grass Rock car park, down to the Grass Rock, a shortcut dug in the cliff. 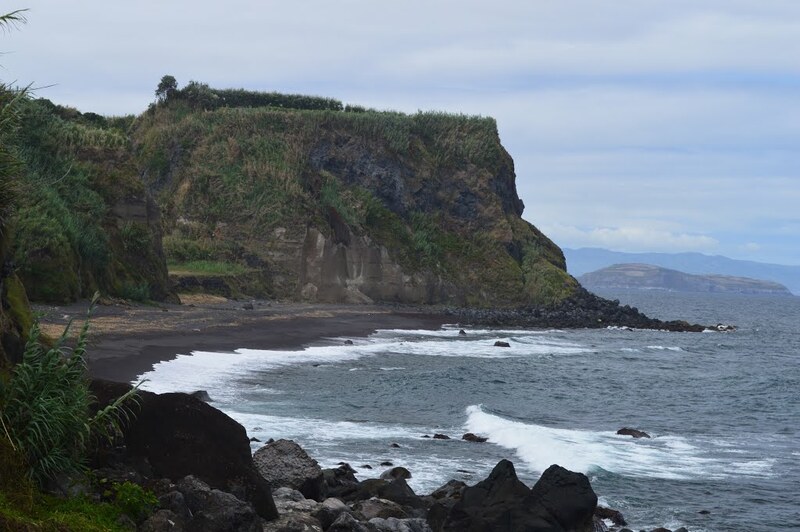 In this way one can see the Rock Gravel, before continuing down to Grass Rock, one detrital fajã, only in San Miguel, and this may be seen a large number of wineries, which due to the microclimate that favors growth vineyards, fig trees and vegetables. This route has start and end near the Lagoon Canary across all Sierra Wanton, where are most of the lagoons of San Miguel, including the Lagoa do Canario, Lagoa das Mares, Rasa Lake and Coal Lake, among others. 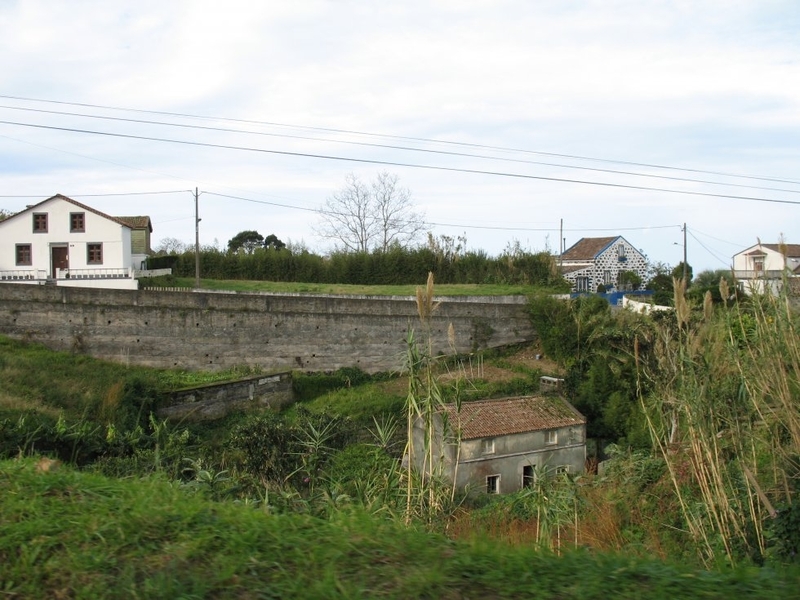 Also with a great interest is the aqueduct “of Nine Windows Wall” which fueled Ponta Delgada, lying near the Lagoa do Pau Pique. Beginning in the Village and ending at Ribeira Quente, this part of the Harbour Village, follows the waterfront and can be observed an area in ruins composed of an old mill, the Iron Bridge, a century-old bridge, which is on the Ribeira de Pelanes and contains many endemic plants such as Brava Figueira (malvifolia Pericallis) and Bracelet Rock (Festuca petraea). Continuing up, one comes to the Lomba do Cavaleiro, continuing for shortcuts, which give an insight into the Graminhais, Pico da Vara, Pico Bartolomeu and the Seven Lombas the Village in its final one crosses a river, and climbing up an incense kills (Pittosporum undulatum), acacia (Acacia sp.) and vinháticos (Persea indica). 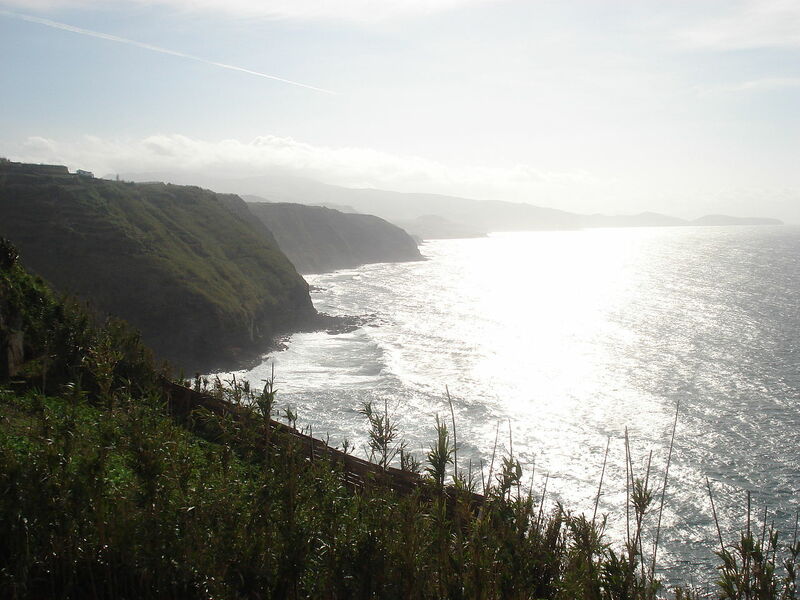 Continuing the route along the coast, one comes to the Ribeira Quente where the trail ends. 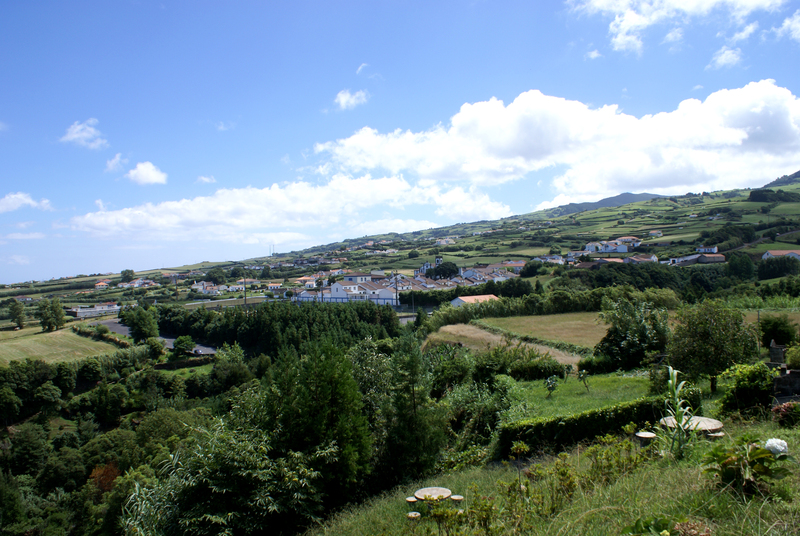 It begins and ends in the center of Fenais locality Help, near the Parish Council, from an agricultural road and crossing a forest with many trees (cedars, plane trees, acacias), giving access to the bed of Mato Ribeira. Rising within the forest, one comes to an agricultural road that goes to the cliff where one can see the north coast, especially the parish of Achadinha and Santa Iria Point. Continuing, it passes by the church dedicated to Our Lady of Help and ending at the place where the journey began. This begins and ends in front of the Church of Our Lady of the Conception in the village of Lomba da Fazenda. 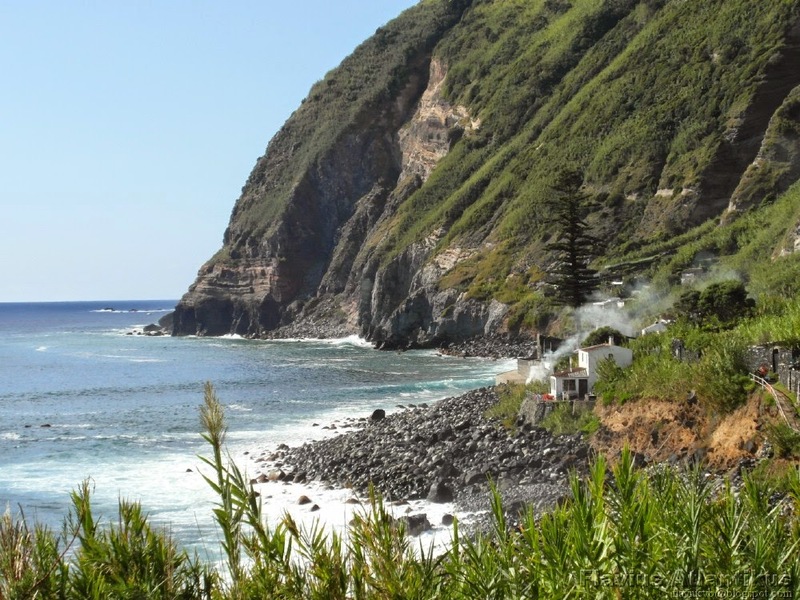 This route passes through many places of interest, including the Northeast campsite, the “Boca da Ribeira” a bathing area adjacent to Foz da Ribeira do Guilherme, the Endemic Park of Pelado and Park Morgada. 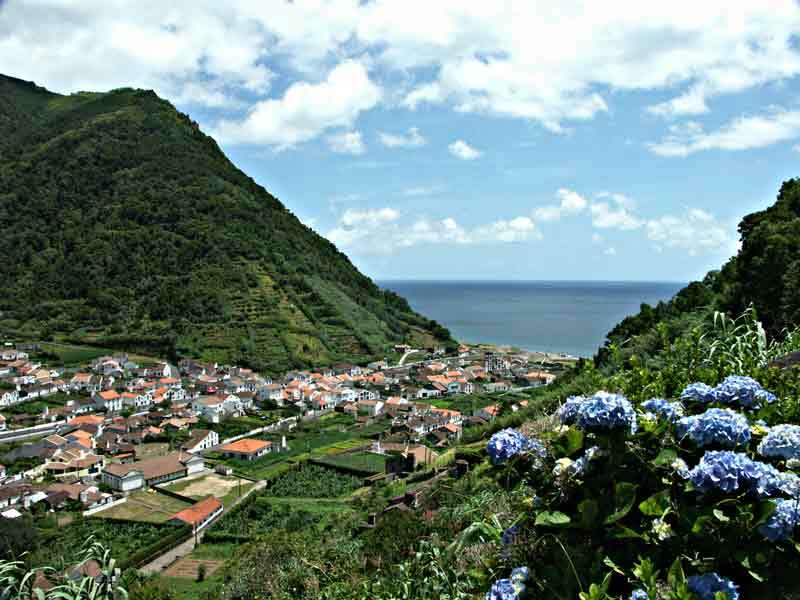 It begins in the Parish of São Vicente Ferreira and runs along the coastline to the Parish of Calhetas, leaving the Port of Fisheries of São Vicente, important at the time of Whaling, and next to this, is the former Whale Factory and also pools natural. Traversing along the shoreline may be seen Ponta de São Pedro, the Cintrão tip and the tip of the Help Fenais. Heading Fenais of Light, will be towards the coast, to observe various buildings of the seventeenth and eighteenth century. Following to dirt, to the Calhetas, in an area where you can visit the Ponta de São Pedro, the Chapel of St. Peter the sixteenth century and the hole of St. Peter, an interesting geological formation. Continuing the path, you reach the center of Calhetas, ending this route. Beginning in the Viewpoint of the King View and ending in the parish of Seven Cities, this part of the ridge west of the shed of the seven cities, where can be observed Caldeira Seca and ponds of the Seven Cities and San Miguel. Following towards the Seven Cities, caution is requested, as this route passes through an area classified as protected landscape.